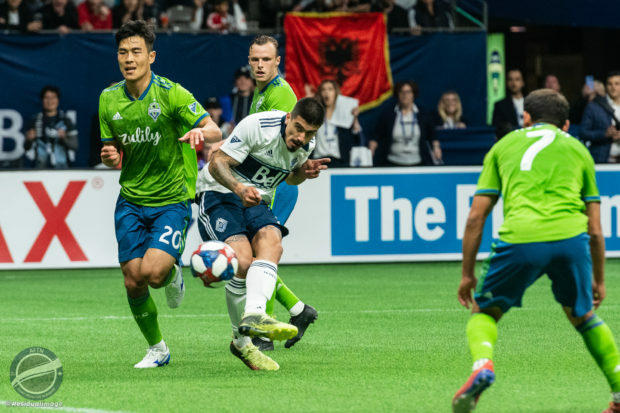 It took until the fourth match of the season for the Whitecaps to get a result and it came close to becoming three points, but Vancouver had to settle for just the single point in the goalless draw against Cascadian rivals Seattle Sounders at BC Place on Saturday evening. Earning the clean sheets were Stefan Frei for Seattle and Max Crepeau for Vancouver, which was their first in MLS since April 27th 2018, spanning 28 league matches and almost a full calendar year. It looked as though that point was going to be three when Inbeom Hwang went down in the box deep into stoppage time after a challenge from his Korean compatriot Kim Kee-hee. Referee Sibiga pointed to the spot, only for the decision to be reversed after a video review. More VAR heartache for the ‘Caps but at least this time it was the correct decision. Marc Dos Santos had been forced to make some changes with key players Hwang and Yordy Reyna on the bench after feeling tired from their international travels over the past week. On paper, Seattle looked to have the far stronger line-up in the battle between the unbeaten Sounders and the still pointless Whitecaps, but Vancouver got an early chance just after the five minute mark when PC took a Sounders turnover on a break but was unable to find Montero making his run down the middle. That was to prove to be a rare opportunity, with the Sounders controlling most of the possession of the ball and the tempo during the first 30 minutes. The first shot on goal for either side finally came in the 39th minute when Lass Bangoura’s low one from outside the box was smothered by Stephen Frei. Vancouver continued to push forward in the next few minutes with Montero just unable to collect up a cross into the box and new Whitecap Ali Adnan’s first shot on goal curling wide of the net. The visitors had their chances in the final few minutes of the half as they were buzzing around the box but were unable to get their shots on net. After the break the Sounders showed the initial push trying to get the first goal but were denied a couple times. Chad Marshall’s attempt was weak and Ruidiaz’s shot was blocked before he could get it on net. Crepeau was tested from distance in the 64th minute when he stopped a blast from Gustav Svensson from just inside 30 yards, and 11 minutes later it was Frei’s turn to save his team when he robbed Montero on a deflection from a pass by substitute Lucas Venuto. Moments later came possibly the best chance of the night for the Sounders, but they were denied by Doniel Henry as he was able to step in front a shot by Riudiaz from just inside the six yard area. Crepeau was once again forced into a save in the final minute of the 90 when he denied Victor Rodriguez’s attempt off a free kick from just outside the box. Then came the late, late drama as the ‘Caps almost pulled it off in the final minute of extra time when Ardiaz made a final run splitting the Sounders defenders only to have his shot denied by Frei and the follow up by Hwang was blocked by countryman Kim, leading to the penalty drama and the video review. The Whitecaps had to settle for just the point, and with it came the first positive result of the season after three straight defeats. It was also the first point for Marc dos Santos, who clearly had his club set up in a defensive mode for the majority of the first half. A decision that ultimately paid off. Despite the setup there were enough opportunities for Vancouver to capitalize on their shots, especially on their final shot of the night by Ardiaz, and a lot of positives to draw from the overall performance. 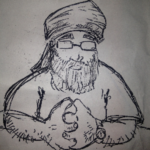 Things are moving in the right direction at least. While Crepeau made a couple of big stops, there was no one more valuable in the defensive box than Doniel Henry who made a couple of huge blocks and seemed to be always there to clear the ball out of danger. 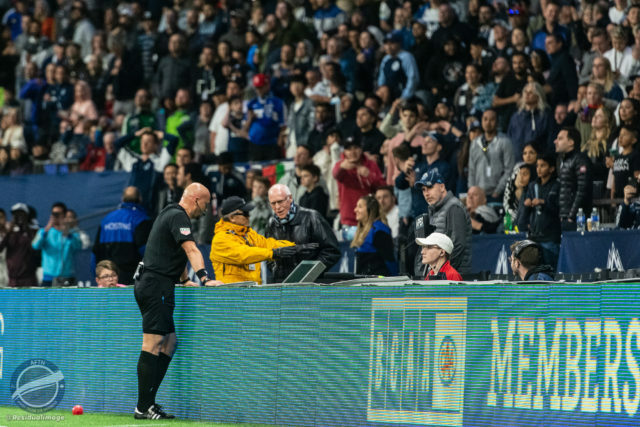 There will be little time to reflect on the result as the Whitecaps look to collect max points in their Friday night meeting with the LA Galaxy at BC Place.